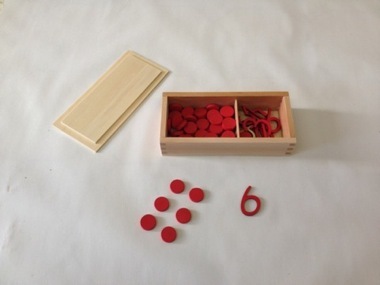 Ten numeral cards from 1 to 10: Fifty five counters all the same colour and size. sequence of numerals for the first time, putting the correct quantity below each. To encourage the association between the numerals and the corresponding quantities of the numbers 1 to 10. 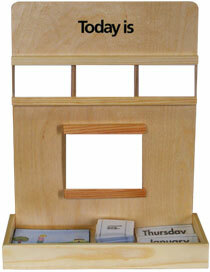 Also to give the child a visual impression of odd and even numbers in preparation for learning these terms later.